Building #19 founder Gerald Elovitz, a.k.a. Jerry Ellis, at his chain’s Weymouth store in 2013. Mr. Elovitz, who was long known as Jerry Ellis, died Saturday at his home at the age of 90, according to his eldest daughter, Linda Elovitz Marshall, of Selkirk, N.Y. Marshall said her father died from vascular problems. The co-founder of Building #19, which was established with his friend, the late Harry Andler, in the mid-1960s, was a warm, loving husband and father whose concern extended to the well-being of his employees, she said. Mr. Elovitz was born in Providence and raised in Hartford. An Army veteran who had been stationed in Italy during World War II. He graduated from Trinity College in Hartford and married his high school sweetheart, Elaine Glaubinger, with whom he had three children. A classic Building 19 ad. 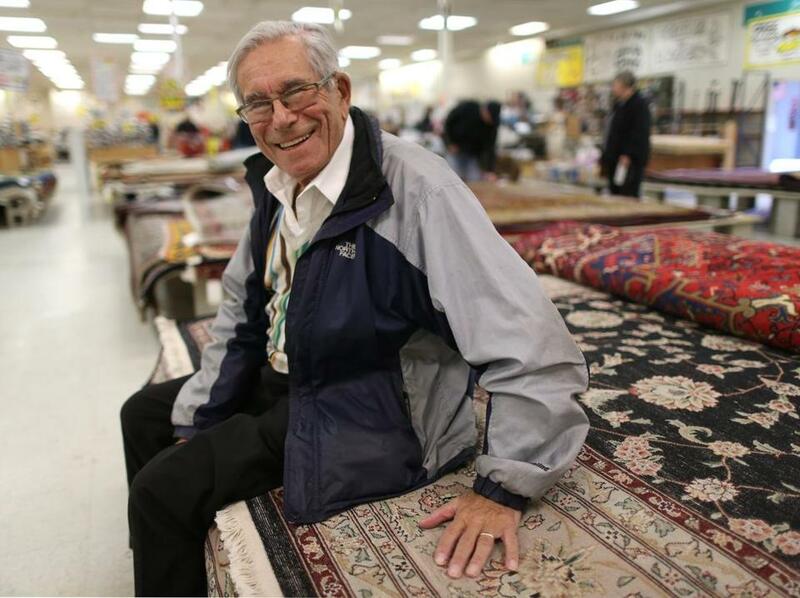 The business that made Mr. Elovitz famous began when he was out of work and began selling smoke-damaged furniture with Andler in Hingham, said Marshall. In 2013, the company entered bankruptcy and he closed the chain’s 10 stores. Mr. Elovitz told the Globe that year that the business had been on “a downward slope” for a decade: Internet sales took a bite out of brick-and-mortar retailers, plus salvage buyers could find merchandise online. And there were fewer warehouse fires, thanks to safer construction. 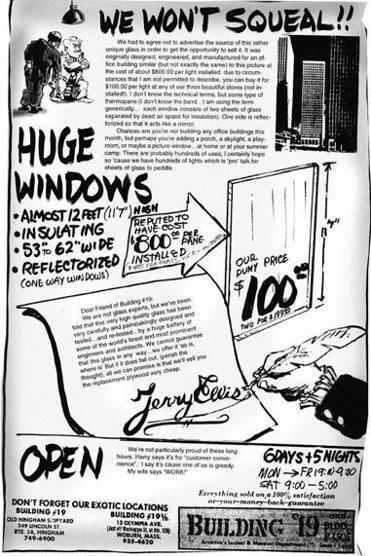 For nearly 50 years before that, customers had flocked to Building #19, attracted by his sales and his black-and-white comic-book-style newspaper inserts, which featured Mr. Elovitz — as a cartoon caricature — who poked fun at his store, his wares, and his customers, but always with tongue firmly planted in cheek. Mr. Elovitz wrote those fliers himself, with a little help from mail-order joke magazines, said Marshall. Outside of his stores, Mr. Elovitz’s greatest pride and joy was his family, said Marshall. When Marshall published her first children’s book, she said her father held the book and offered her a warm smile. Along with his wife, Elaine Elovitz of Dedham, and daughter Linda, he leaves another daughter, Judi Elovitz of Newton, a son, Bill Elovitz of Boston, nine grandchildren, and 19 great-grandchildren.